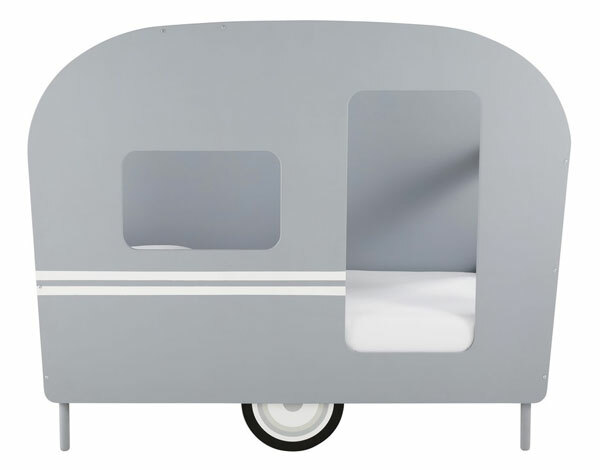 Officially known as the Petit Bolide caravan bed, this is the bed that brings the holiday to you. or your little one, anyway. Yes, of course this is a bed, that’s pretty much its main purpose. But not the only one. 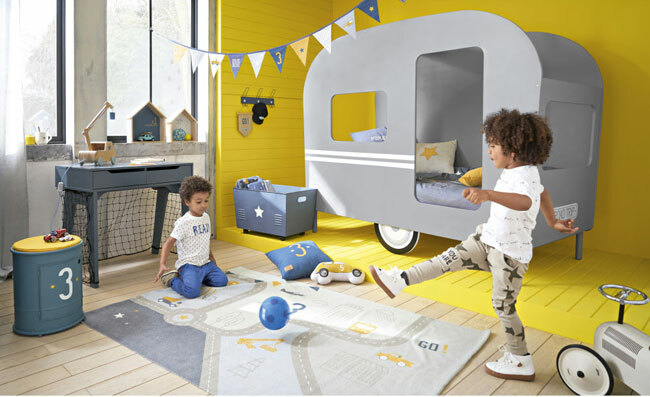 This is also a place to hang out and hide, a place to play and a bed to impress his or her friends and for the design-conscious parent, a bed that also looks great in the room. Especially if you have a vintage theme going on. Does it move? Sadly not, but the ‘wheel’ does act as extra support for the bed. Downsides? 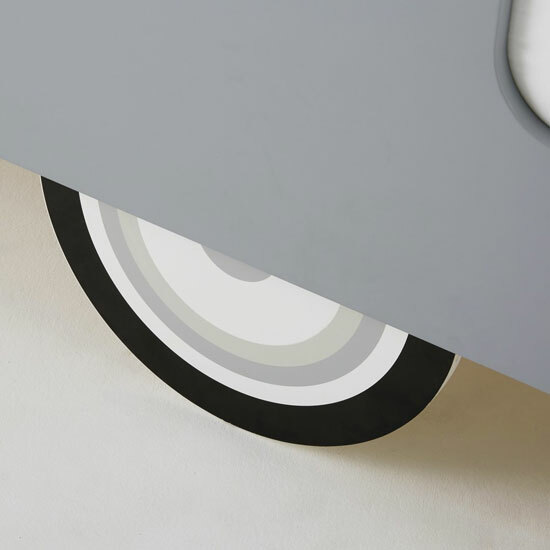 Well, the colour grey might not be for everyone, but it is fairly neutral, which is more of a positive and secondly, this doesn’t come cheap. 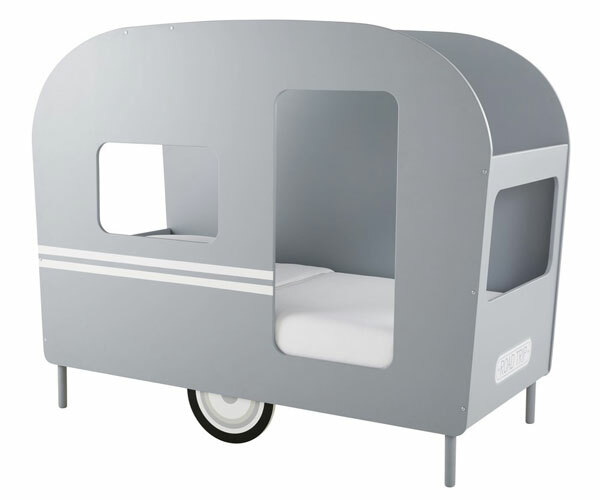 £671 is the price of the caravan bed online.